Product categories of Cashew Shelling Machine, we are specialized manufacturers from China, Cashew Nut Shelling Machine, Machinery Cashew Shelling suppliers/factory, wholesale high-quality products of Cashew Shelling Machine R & D and manufacturing, we have the perfect after-sales service and technical support. Look forward to your cooperation! 1. The cashew are manually fed one by one into the feed chute between the left and the right side of the shelling blades, and then pushed down by the push-type blades in motion up and down so as to complete the shelling work. 2. The proficiency of the workers contributes to the efficiency. 3. The cashew will be divided into 3~5 level according to the width, then begin to shell. 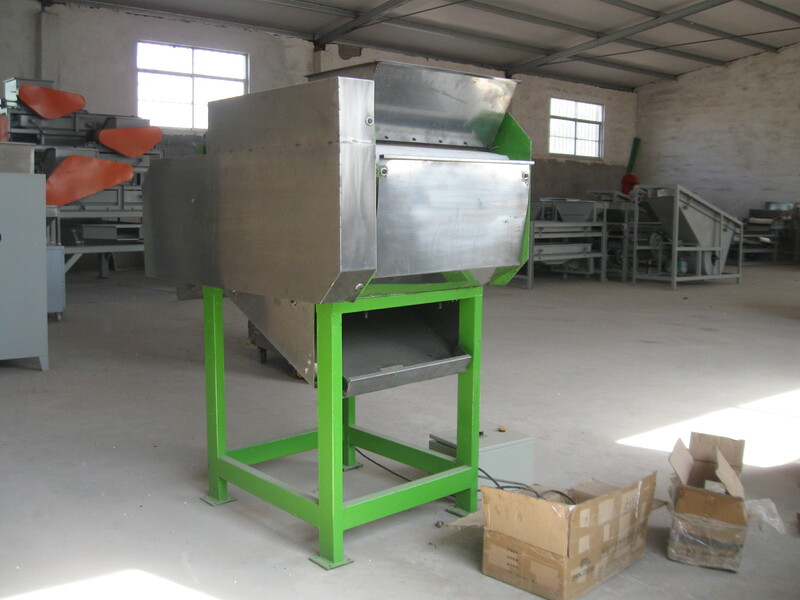 This energy saving cashew Nut Shelling Machine is mainly used for shelling the cashew, separating the cashew nut kernels from the outer shell. It can be used in food processing industry or the pre-treatment of oil production plants. The cashew will be divided into 3-5 level according to the width; it has a few grades sieving system, fit for different size of cashew. No matter small and big can be processed by this machine, if the first grade can not open the cashew, the second will do. In the end all the cashew will be shelled finally, can cracking the entire cashew.